We have gathered statistics from a number of major fabric and garment factories and China, Bangladesh and Sri Lanka. 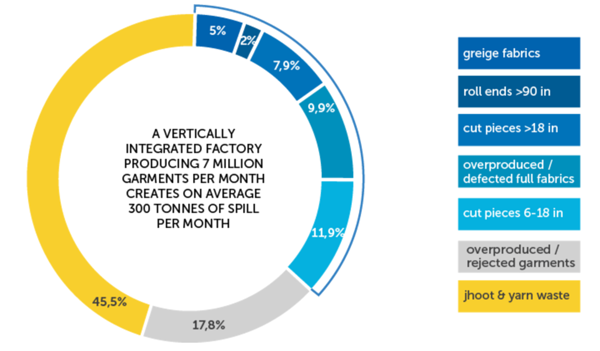 We now know that the total volume of spill from fashion production is on average 25% but can reach up to 47% of the fabrics and fibres used in production. Most of these resources are sold forward to the local markets without any track of what happens to these afterwards. Without an efficient solution, too much of it gets dumped, landfilled or incinerated while there are by now plenty of scalable solutions how to reuse or recycle much of these resources efficiently. 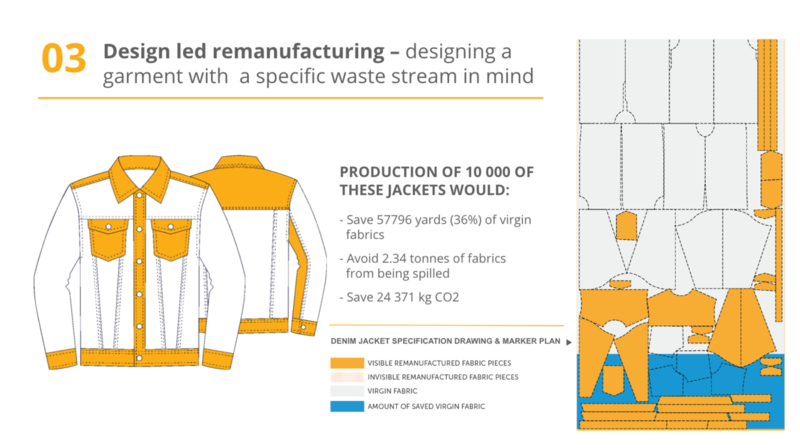 With our trials, we have seen that up to 25% of the factory spill could be remanufactured as fabrics in production without any need to invest money or energy in recycling. Bigger pieces of fabrics can be integrated back in next purchase orders (for smaller details of next products) in the same factories without compromising the production efficiency or quality of the outcome, and needing no heavy investment to adapt the process. It's a step forward from lean manufacturing, because optimisation is not an answer to all the causes of leftovers. RR has developed 3 methods of remanufacturing which can be applied in mass-production on regular basis: invisible, visible and design-led remanufacturing. Those materials that can not be used for remanufacturing (smallest scraps, yarn waste) are great for recycling. There is a growing number of manufacturers who produce high-quality new materials out of cutting scraps. But the potential of remanufacturing should be considered first. 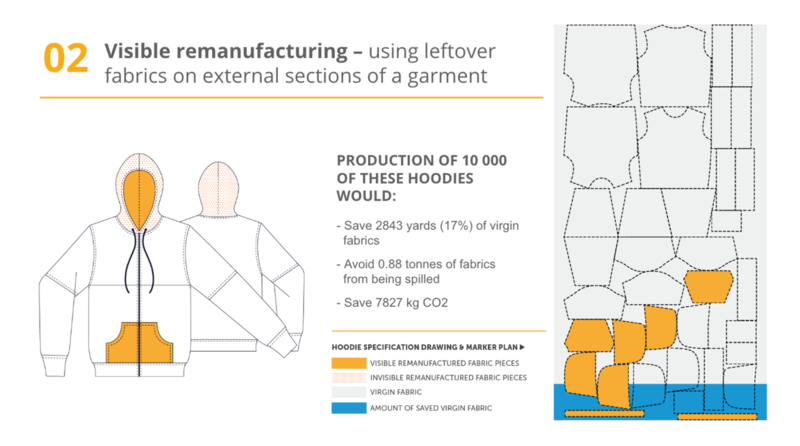 Remanufacturing and closing the loop internally for one brand supply chain is not a common practice now, because it needs to have a monetary incentive for both brands and suppliers to work along. It lies behind certain rules agreed between both sides and a control mechanism to follow that both hold on to the agreement. Even if such agreements would be done now, there has been no solution available to keep control over the agreements, no mechanism to organise the back-end of the production. This is how RR offers a key to unlock the business potential hidden in the issue of factory spill - with our software it becomes possible to track the inputs and outputs of factories transparently based on the rules agreed by both sides, as well as cooperate efficiently for setting up regular remanufacturing processes. In total around 6 million tonnes of leftovers are spilled from factories in Southeast-Asia and China. Factories currently earn rather little for these resources while selling these to local traders. 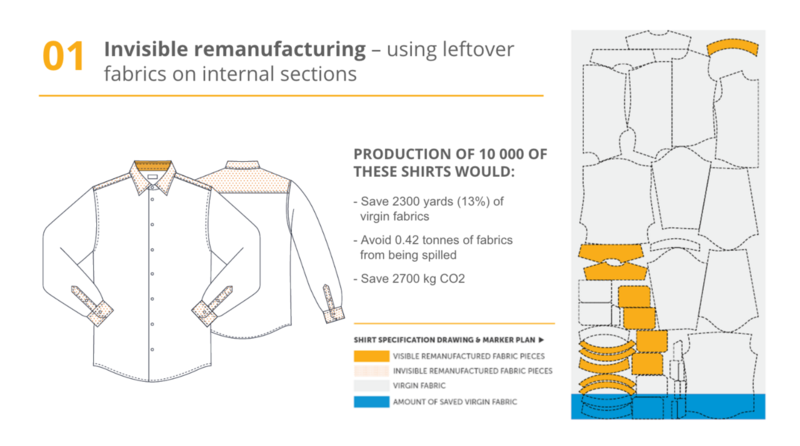 However, with a systematic efficient process of closing the loop by remanufacturing and recycling, these leftovers could be equivalent to new clothes and products with potential market value of 15 billion USD.